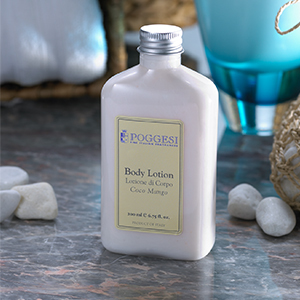 Restore your skin’s natural glow with silky, nourishing Coco Mango body lotion by Poggesi. 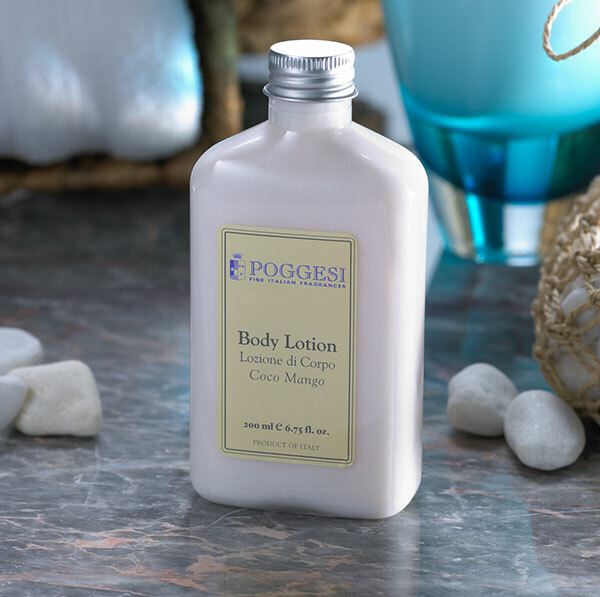 The signature Sonesta scent combines zesty orange notes with the delicate aroma of jasmine and lily. 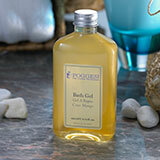 This light, non-greasy moisturizer leaves your skin supple and smooth, perfect for everyday use.